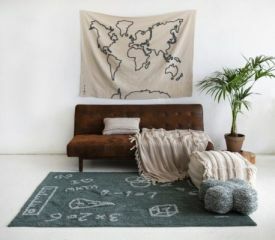 Established in 1990, Lorena Canals designs and produces rugs and textile accessories that are both stylish and practical. Made from 100% cotton, these rugs are machine-washable, meeting the needs of modern lifestyles. 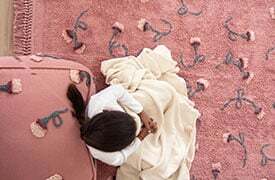 Everything began when the founder asked herself: Why can’t we wash our kids’ rugs at home? With no suitable solution on the market, she set off to make her own. Today, Lorena Canals has become a reference point for the Home Decoration, both for children and grown-ups. With two own factories in India, offices in Barcelona and New York and warehouses in Europe, Asia and United States, the designer works side by side with more than 170 artisans who take care of every detail in the most handmade elaboration process. The brand prides itself on quality in every aspect of production, from the best raw materials to socially responsible labor practices. 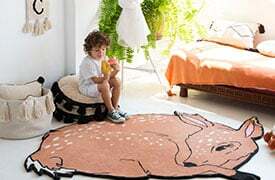 Its rugs and accessories are available in a wide variety of designs, colors and sizes, making them suitable for any room. Wide networks of distribution operating worldwide and more than 2500 points of sale, making our product available in more than 60 countries. More than 500 references in different sizes and colors, introducing new collections twice a year according to the latest market trends. Two factories in India with more than 170 artisans taking care of every detaill throughout the most handmade elaboration process.